Your system’s air handler doesn’t work alone! It works alongside your air conditioner or heat pump, distributing conditioned air throughout your ductwork and into each room. 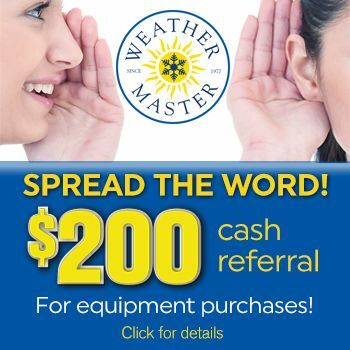 At Weather Master, we’re proud to offer state-of-the-art product lines like Lennox®. Lennox® Air Handlers work quietly and efficiently in both cooling and heating modes, delivering consistent temperatures and humidity control, while improving your home’s air quality. If you are in the market for a new air handler, our knowledgeable HVAC technicians can help you choose the best option for your home, budget and lifestyle. And remember our technicians love to answer your questions, so feel free to ask! 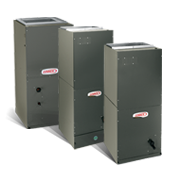 The Lennox Signature® Series CBX4OUHV air handler uses innovative variable speed technology to provide a constant flow of air, with no drafts or loud operating sounds. The same technology that improves air circulation and comfort also enhances energy efficiency, which translates to lower utility bills. On top of all this, a built-in filtration system provides maximum protection against pollutants and allergens. Working with your outdoor heat pump or air conditioner, the Elite Series CBX27UH air handler puts you comfortably at ease, day after day and season after season. It combines the advanced Lennox® engineering with high-quality components to allow efficient air circulation throughout your home. This not only helps keep rooms at the right temperature, but it also helps keep humidity levels and utility bills in check, giving you peace of mind. The Merit® Series of air handlers provide the economical solution for ideal comfort season to season. The CBX26 air handler makes your comfort system complete, working with the outdoor unit to circulate conditioned air throughout your Raleigh, NC area home. As part of the Lennox Merit® Series, the CBX26 is designed to provide reliable, efficient cooling and heating performance at a budget-friendly price. A direct-drive blower motor delivers a consistent flow of air, to keep every room feeling just right. And thanks to a fully insulated cabinet, the CBX26 won’t interfere with the peace and quiet you enjoy so much! For more on information on air handlers or any of our other quality HVAC products and services, please contact us online. Don’t forget to ask us about our exclusive 100% Satisfaction Guarantee!